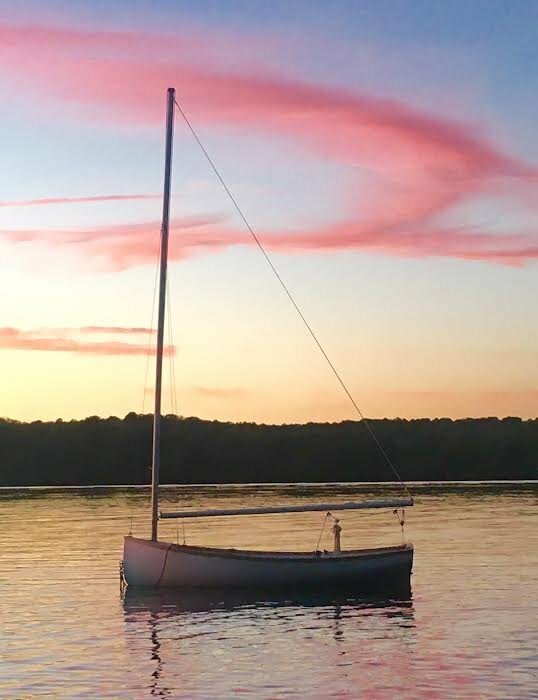 Boat is located in Harwich,MA.Please contact the owner @ 508-367-5964. 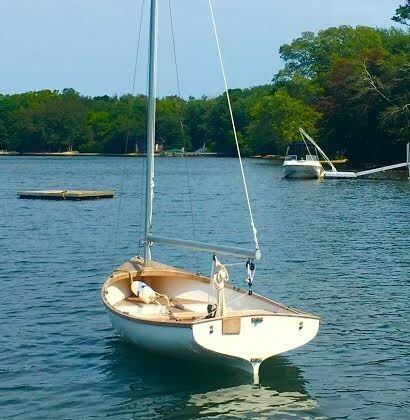 11 x 5 Heritage Boats Catboat. 8 draft. Brand new condition. 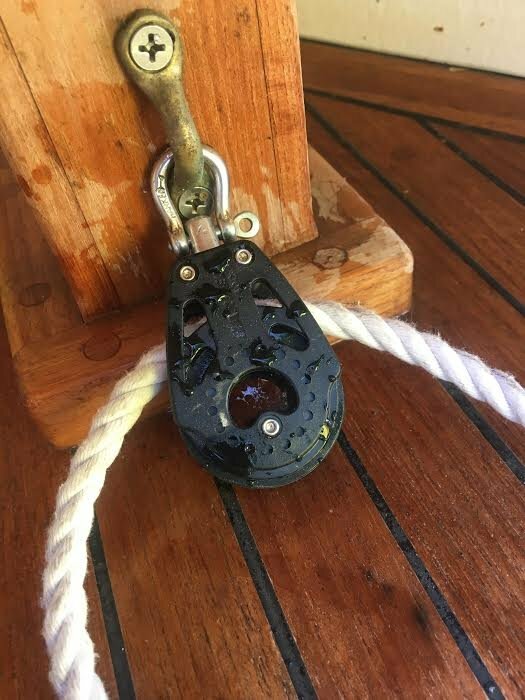 Sailed only a handful of times. 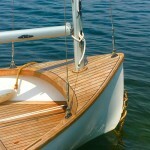 Fiberglass hull with beautiful teak joinery through-out. 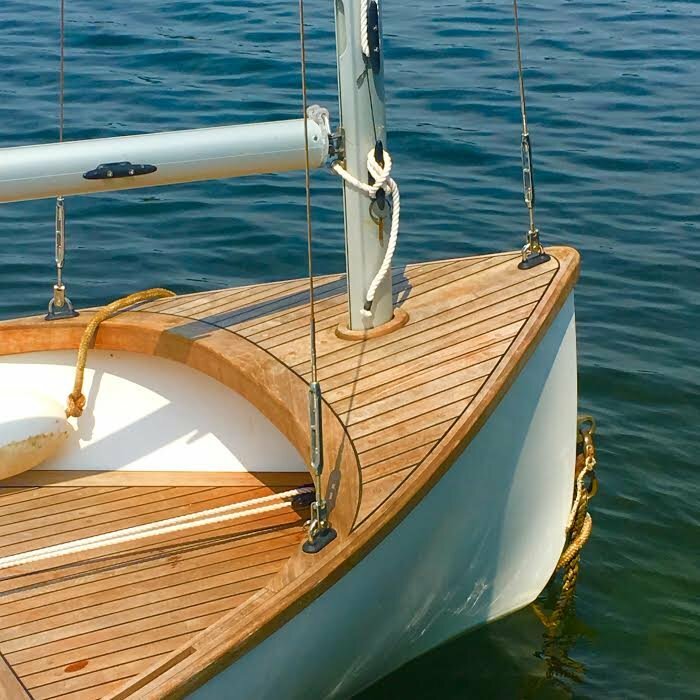 Classic lines with a slightly reversed plumb bow and a delicate wineglass stern make this little boat a real eye-catcher. 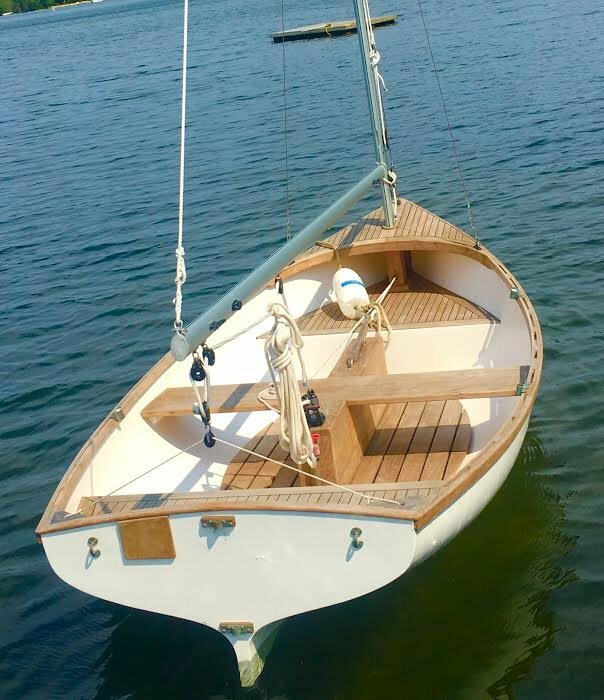 She is fitted out with an all teak barn door rudder and a fully retractable centerboard. 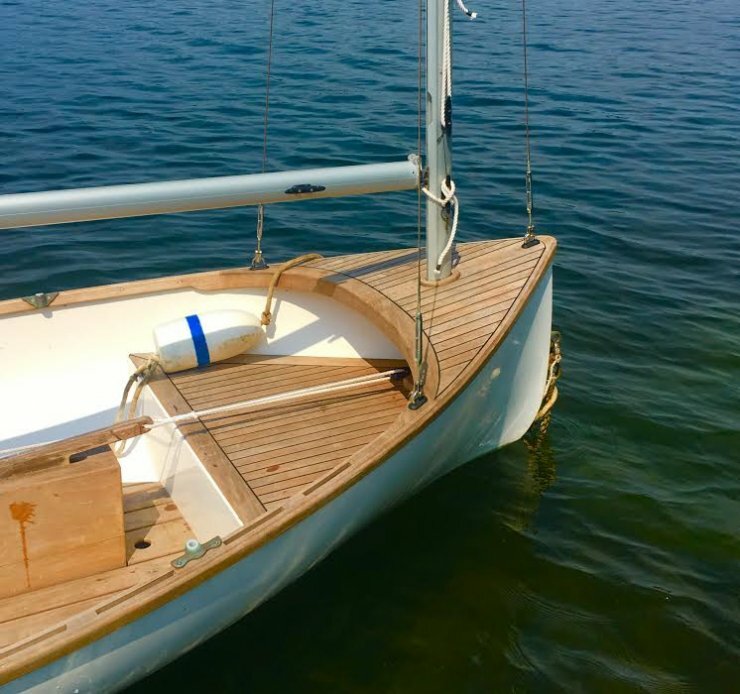 Built with a maintenance free aluminum mast and boom, she has a subtle light tan dacron main sail and is rigged with Harken blocks through-out. 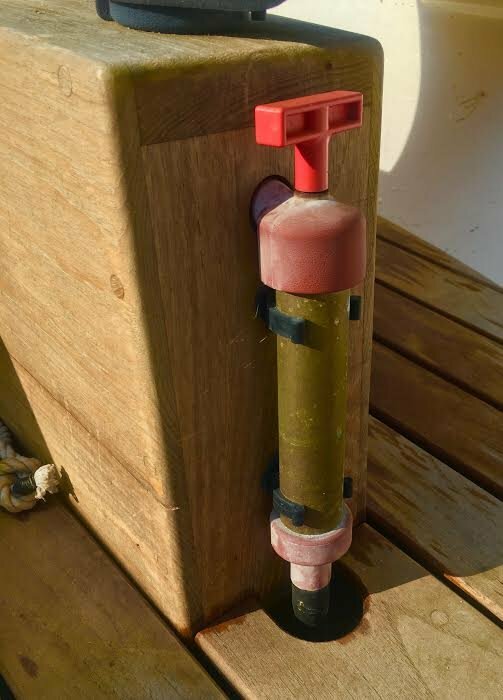 Other features include a brass bilge pump mounted to the centerboard trunk that exits through the trunk, dual rowing stations, removable teak floorboards, and a motor mount block.She is designed to be hung from stern davits as she came fitted with a lifting harness and has a bronze drain plug in the lowest spot of the bottom. 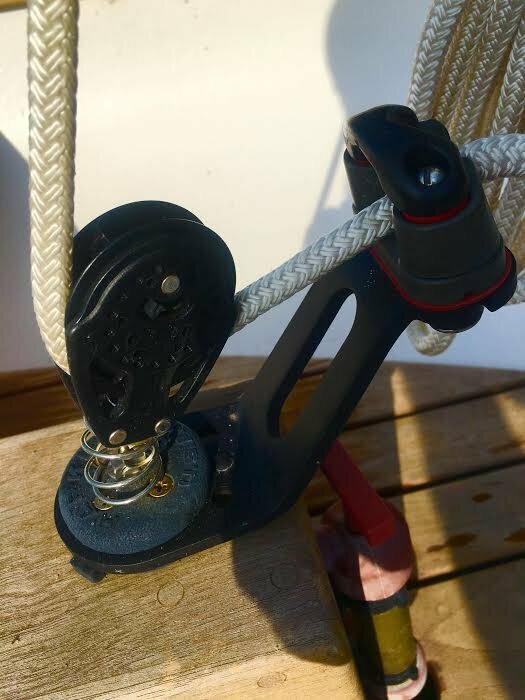 Also included is a full white mooring cover. She has been stored indoors always and will be available to view in Chatham this fall and winter in our storage building.